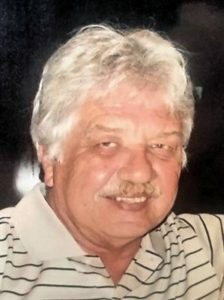 MANCHESTER – Peter Janosz Jr., of Gainesville, Fl., passed away peacefully in his home and went to be with the Lord on June 20, 2018. The son of Peter Janosz, and Mary Zaricki, Peter was born on January 12, 1950 and was raised in Manchester, New Hampshire. Peter is survived by his loving partner of 22 years Karen McCann, of Gainesville, Fl., and her children, Ryan (Carol) McCann of Alachua, Fl., Megan (Eric) Hazzard of San Diego, CA., and their two sons. Peter also leaves his sister Roslie (Jim) Gilpatrick of Kingston, N.Y., his niece Amy (Bob) Ryan, their four children and nephew Craig Parmenter of Los Angeles, CA. Peter graduated from Keene State College, N.H. with a bachelor’s degree in education. He moved to Gainesville in 1973 after graduating college and is well known for his career as a real estate agent in Gainesville, once owning his own company and ending his real estate career at Bosshardt Realty. His impact on his family and friends was enormous, and we have all benefited from his presence. Peter was kind and thoughtful. He always took the time to stop and talk to everyone he met and made everyone feel good about themselves. People who knew Peter would joke and say that if there was a definition of “nice guy” in the dictionary, Peter’s picture would be there. He loved to joke with people and had a witty sense of humor. Peter and Karen loved to travel together and went to many concerts, mainly of classic rock bands. He also loved baseball and he and Karen had annual passes to the Tampa Bay Rays games in St. Petersburg, Fl. The television set always had a baseball game on or the news, which he followed religiously. Peter loved horse racing and enjoyed spending time with his buddies in Ocala. He lived life to the fullest, always wide open, and always with consideration to others. He will be missed by all, and lives on through us forever.